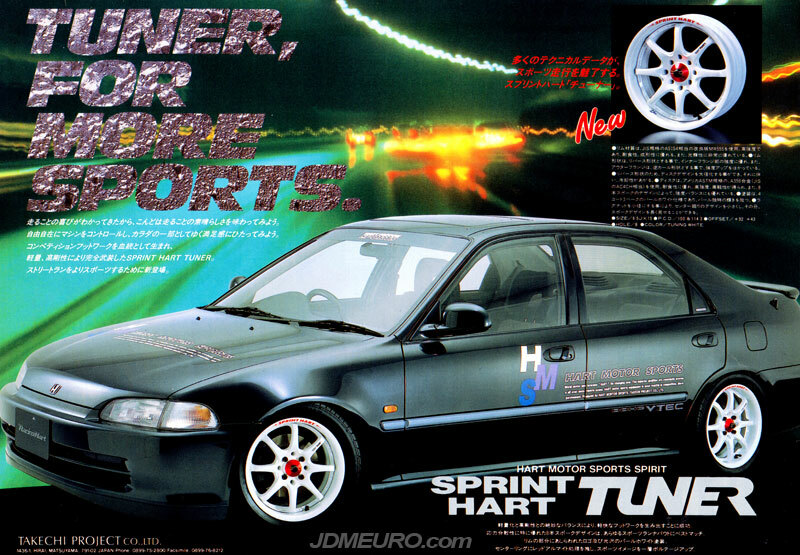 The Sprint Hart Tuner are classic JDM Wheels that were a big hit in the late 90’s. The Sprint Hart Tuner featured two piece construction with an 8 long spoke face welded to a reverse style barrel for a visually big appearance and lip. Picture in the ad are the Tuners mounted on a JDM 4 door Honda Civic EG.